We took a taxi to York station and found our train information – platform 11 the furthest away via the subway. We were so early we saw the train before ours leave! When our train pulled in we boarded, the luggage racks were a challenge someone after us removed Rossco’s suitcase so he had to intervene. Once sorted all were happy. 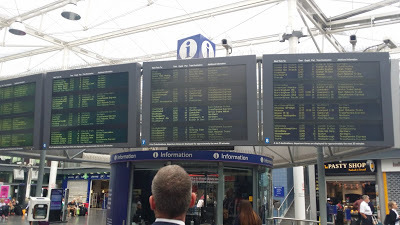 We rode on the TransPennine express to Manchester and upon arrival I checked the departure board for Shrewsbury and our train was missing….. 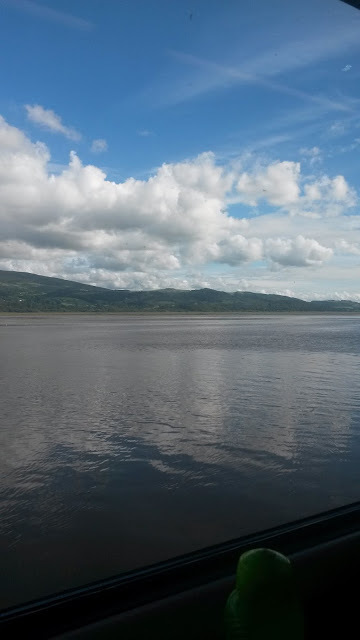 I asked the information person who said our train didn’t arrive so I will have to take the next one at 12.30 meaning we will miss our connection to Porthmadog. I was told there would be about a two hour wait at Shrewsbury. I went to ticketing to see about transferring our reservations I was told “changes cannot be made on the day of travel” you will just have to find a seat somewhere – great news with two more legs to go….. I sent Andy Dixon a message to say we were delayed and would be late for dinner…. 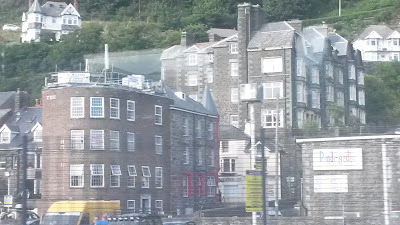 The 12.30 train had the 11.30 and 12.30 passengers so there was a crush around the doors. I joined in and made my large presence felt by putting my suitcase on the steps to force entry. I got two seats and warded off the many that tried to get Rossco’s seat. People were standing in the space between seats throughout the carriage for the entire trip. 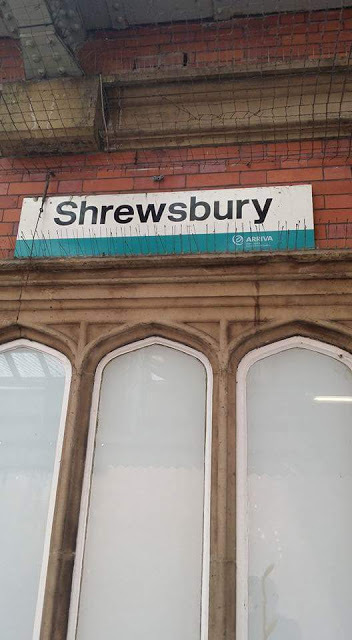 We sat at Shrewsbury station for the two hours and boarded on time. The four carriage train was to be split down the line so we needed to be in the correct carriage set Away on time we got about a mile down the track before we stopped and after 5 minutes an announcement came saying that the opposing train had problems and as it single track we will have to wait. Well it only took about 15 minutes before we moved. 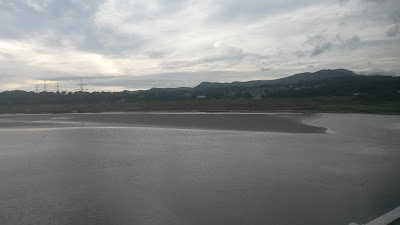 However we certainly made a great choice to take this train we wound through river valleys between steep hills until we reached the coast then along the beach and cliffs with only feet to the edge as we moved at about 10 mph. 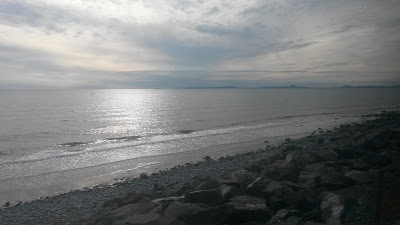 Beautiful scenery every bit as stunning as the Coast Starlight along the ocean near Santa Barbara but it is green not straw a colour.